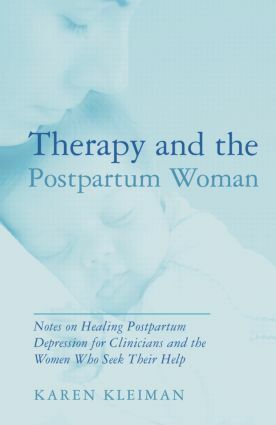 This bookprovides a comprehensive look at effective therapy for postpartum depression. Using a blend of professional objectivity, evidence-based research, and personal, straight-forward suggestions gathered from years of experience, this book brings the reader into the private world of therapy with the postpartum woman. Based on Psychodynamic and Cognitive-Behavioral theories, and on D.W. Winnicott's "good-enough mother" and the "holding environment" in particular, the book is written by a therapist who has specialized in the treatment of postpartum depression for over 20 years. Therapy and the Postpartum Woman will serve as a companion tool for clinicians and the women they treat. Countertransference: When Is Yours Mine?